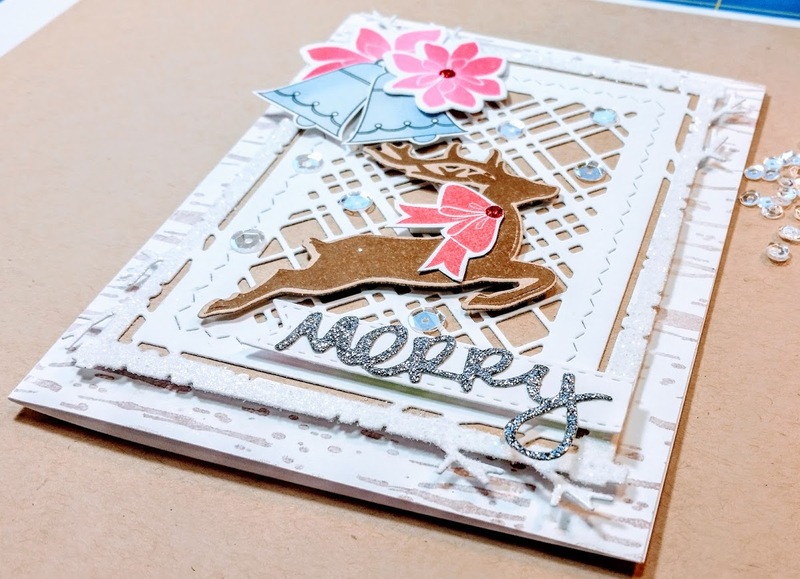 This week's Papertrey Inc. Make it Monday #305 is by Laurie Schmidlin. 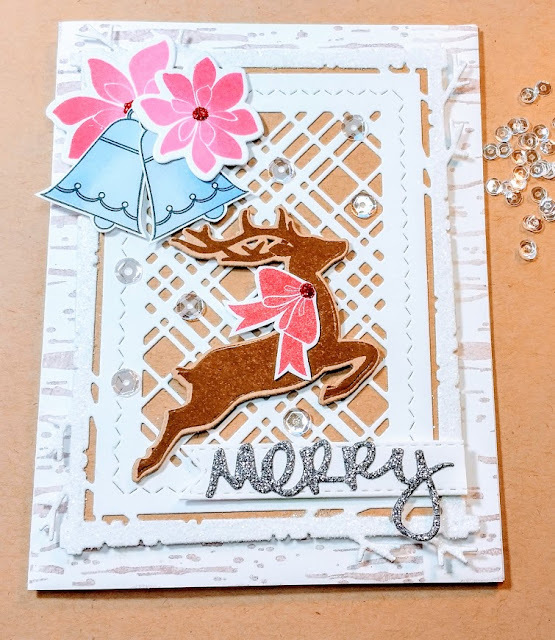 She shows us how to add multiple layers on a card. Laurie has a beautiful video here. I first started out using the background basics: Birch stamp followed by the Mix and Mat: Plaid die using foam tape for my first layer. 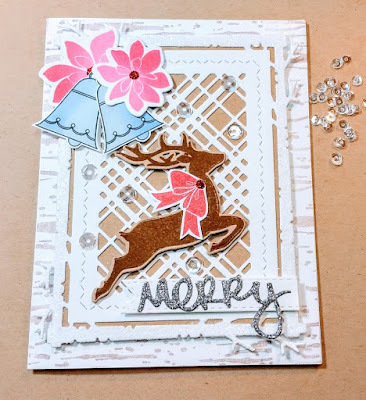 The lovely Bells and Boughs, Dash away All, Jingle All the Way, and the dies were used along with the Quilted die, all using them for more raised layers. The outer edge of the Mix and Mat: Plaid die was sprinkled with glitter and red sticklers and sequins were added.